The New Zealand season at the Edinburgh Fringe Festival is a showcase of the diversity of voices from Aotearoa and the multiplicity of conversations that occupy our current theatrical landscape. There is no singular homogenous voice that represents New Zealand and it is inspiring to see that poly-vocality represented on the international stage. On the Upside Down of the World is one such example. It is distinctly, and unapologetically so, a Pakeha story. It is a conversation between settler New Zealanders of the past to those of the present. It explores the ongoing politics that surround a Pakeha identity as well as the myriad cultural implications it carries within the larger context of New Zealand identity in 2014. Arthur Meek’s play based on Our Maoris, The Memoirs of Mary Ann Martin, is an interesting choice to bring to the Fringe for a number of reasons. Its strength lies in that fact that it not only places the memories of Mary Ann Martin, the wife of the first Chief Justice of New Zealand, at the centre but all characters are voiced through her. It is always her version of history – more appropriately ‘herstory’ – that we are invited to listen to and it is through her lens that we become witnesses to a tale fraught with the challenges of immigration to a new land: two completely different value systems in conflict and a maternal tenderness that locates this story very firmly within the female and feminised world. Laurel Devenie is a strong actor giving a laudable performance as Mary Ann Martin. A young woman, still in many ways a girl with ‘a gammy leg’, she is desperate for love and a child, and at the earliest convenience is married and shipped off to a land of new beginnings. 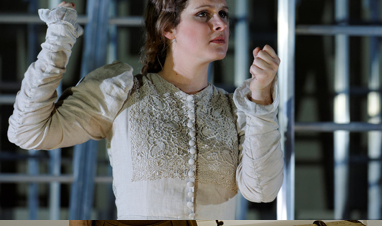 Devenie’s excellent change of pace, subtle emotional shifts and ability to weave a balance of humour and empathy keeps the audience engaged with the flaws and foibles of this character, a woman who must experience loss on multiple different levels: home, sense of self and then – when she has verily established a world in her little ‘bay’ and found in a young Maori boy her own surrogate son – she loses everything. It is a tale of politics and power, land wars and colonialism, motherhood and many of the familiar themes we witness in the unravelling of the psychological umbilical cord in female solo shows. Especially when they revolve around the men in their life. But pointing out the flaws of the past do not make them disappear and the narrative closes with the predictable ending: a woman, once empowered and active becomes a victim of circumstance and institution, returning back to her native land with no more than a pile of cherished letters and a passive resignation to events beyond her control. Of course there is much more to the play but its true value returns in interrogating the liminal space in which Pakeha identity is caught, both in the past and in the present. And in that respect it can still push boundaries. The production is in itself is simple, with period costuming and quaint affects. Accompanied by live music composed by John Gibson, the sense of nostalgia and ‘other-worldliness’ is reinforced – at times inviting, at others quite alienating and unnecessary for the minor segues. The set itself compromises a number of ladders at different heights and here perhaps is the most frustrating aspect of the design as they seem to be more of a visual statement than actually having a creative or pragmatic purpose. And although Devenie does use the lower rungs they are often redundant in the actual propulsion of the story forward. The show still doesn’t quite gel. It has a sound structure and a very capable performer who is able to cradle the story, for the most part, very effectively, yet it still needs to find its centre. On the Upside Down of the World is a quintessentially New Zealand story but while it may be tempting (especially from the poster) to imagine this to be an exploration of Pakeha and Maori relationships, it is a human story of a woman talking back to her multiple selves, past and present, and on this front it certainly does raise some important issues for New Zealand today.